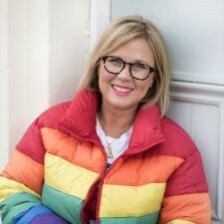 HarperNonFiction has bought the first book by This Girl Can Organise (TGCO) founder Nicola Lewis, whose celebrity clients include Gemma Collins and Katie Piper. Carolyn Thorne, editorial director, bought world rights to Mind Over Clutter directly from the author. Publication will be on the Thorsons list on 14 March. Lewis set up This Girl Can Organise (TGCO), a streamlining service for busy people and homes, after being made redundant from her job as an investment banker. Mind Over Clutter is billed as "the ultimate guide to decluttering your home in a fun, sustainable and meaningful way". Lewis said: "Words cannot describe how ecstatic and excited I was when HarperCollins approached me last autumn to publish my very own book. After two decades of working in the City I decided to risk it all and start all over again doing something I love, organising. I came up with This Girl Can Organise (TGCO) in April 2017 and haven't looked back since. My ultimate goal was to be happy doing a job that I love, helping others who find this task overwhelming or are just too busy to juggle modern day life to have time to declutter and get straight." Thorne said: "In Mind Over Clutter [Lewis] brings a practical and fun approach to decluttering our homes and our lives. Her book taps into many of the current trends including cleaning up in an ecofriendly way and boosting our mental well-being whilst doing so."